Home Blog How to Learn Turkish: Which is easier to learn Turkish or Russian? When learning a new language there are many different components that go into being able to speak, read, write, and listen to that new language. Many languages have different alphabets, sentence structure, word endings, and word origins. All languages are spoken differently and therefore can be very difficult for a new learner to communicate with a native speaker. You must carefully learn the alphabet, the different words and phrases, the spelling of the new words, and the correct pronunciation of each word before being able to say you have mastered the new language you are learning. If you are an English speaker and are trying to learn a new language you may find yourself asking the question which is easier to learn Turkish or Russian? There are many factors that go into answering this question and the answer may vary from person to person based on their past experiences with language. For the majority of people the answer to the question would most likely be Russian. Since Russian is an Indo-European language it is more closely related to English than Turkish. Turkish is not an Indo-European language and therefore the structure of words and sentences can vary greatly when compared to English. While that is an easy answer and may not be accurate to all people trying to learn the language it may help to describe each language briefly and the differences that each language has when compared to English. The structure of the Turkish language is much different than other languages, especially English and therefore learning how to use proper sentence structure can be very challenging. Turkish uses Latin script for their alphabet. While this can be difficult to learn, it may be easier to speak because each letter has only one sound. Unlike English, whose letters and vowels can be pronounced many different ways, the letters in the Turkish language cannot. If you are able to learn the pronunciation of each letter you may be able to easily speak the language if you are reading it off of a page. Understanding what the words mean and comprehending what someone is saying to you is a larger challenge. There are many suffixes added to each word and therefore it may be difficult to find the root of each word. This can cause confusion when trying to look up a word in the dictionary to decipher the meaning. The word order in the Turkish language is different than the English word order. For example, in the Turkish language the verb ends each sentence, which is opposite of the English language. The most difficult part of learning Turkish is most likely the sentence structure, grammar and word order. Just like learning any language the Russian language has many factors that any new learner of the language must know. The first thing learners must know is that Russian is a Cyrillic language and uses thirty three different letters. While it does have more letters in the alphabet than English, it is similar to Turkish in the fact that each letter represents one sound. Learners do not have to guess if it is a long vowel or a short vowel because there is a one to one correspondence between letters and sounds. Many Russian verbs are similar to English verbs making the language easier to learn than Turkish. The words tend to be a little longer in Russian but are similar to the pronunciation of English words. While sentence structure is very important in the Turkish language, there are many ways to say the same thing in the Russian language. The rules for sentence structure in Russia are far more lenient than in the Turkish language. Just like any language, Russian has a lot of rules for grammar, however there are only a small number of exceptions that learners need to be aware of. This make conjugating verbs and other grammar rules much easier to learn and remember over time. When you are trying to answer the question which language is easier to learn Turkish or Russian it can be broken down into many parts. In terms of reading and writing, Russian for most people would be easier because there are far less grammar rules to follow, which makes writing sentences and short phrases much easier. In terms of speaking Turkish and Russian are very similar because while they both use an alphabet that is different from the English language, their letter all correspond to only one sound. Therefore, speaking and listening in Russian and Turkish would be very similar. 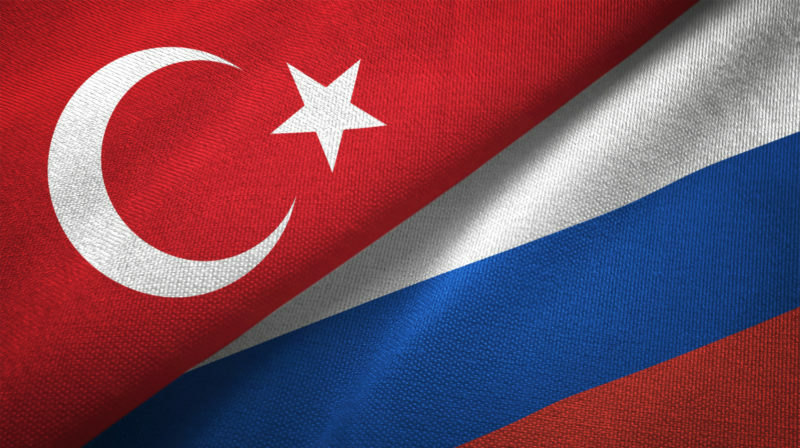 The only difference for speaking and listening to a Turkish and Russian learner would be one’s preference for the language and willingness to learn it. Another factor that may arise when you find yourself asking which language is more difficult to learn Turkish or Russian may be what you are most interested in. For example, if you have a lot of friends who speak Turkish it would most likely be easier for you to speak Turkish because you have been exposed to the language in the past. If you have experiences with another language prior to learning it you will most likely have an easier time learning it than another person who has never heard it before. Another factor that may influence your opinion about which is harder to learn Turkish or Russian would be if you have any future travel plans to visit a country that speaks either language. If you are interested in traveling to any country that speaks either of these languages you will have more motivation to learn that language. For instance, if you are planning to visit Russia next year you have more interest and more motivation to learn the key phrases and vocabulary words that you would need to use in Russia. You would most likely practice the language frequently in order to make sure you were prepared. There are many factors that may influence a person’s answer to the question which is harder to learn Turkish or Russian. Factors that you need to be aware of include the connection between each language and the English language, the sentence structure, and verb tenses, the alphabet, pronunciation, past experiences with the language, and motivation. Either way it would benefit all people to learn another language and get out in the world and use it!